“Physical product” brands are increasingly relying on digital and virtual technologies to create a new consumer value proposition. It wont be long before physical and virtual/digital are inseparable. Sportswear brands and fitness-related apps and devices are leading the way. In February 2016, Runkeeper was acquired by Asics. 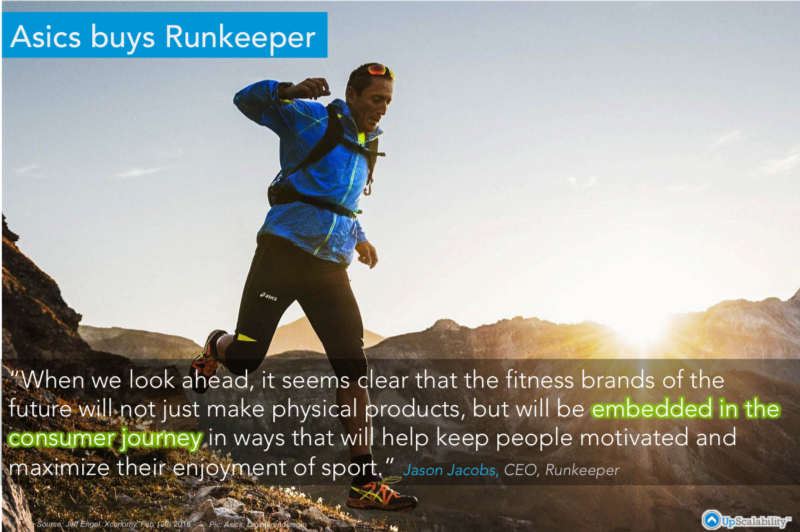 In his announcement, Jason Jacob, Runkeeper’s CEO, talks about how you can build a new kind of fitness brand by putting a digital platform and a physical product together. He goes on to share how you can build this new kind of brand that has a deeper more trusted relationship with consumers. The type of brand that can engage with consumers in a more personalized way. 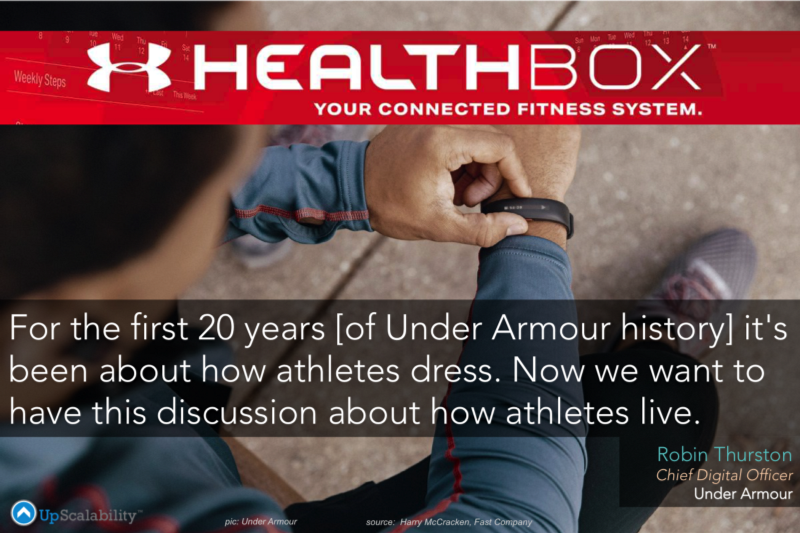 Earlier this year, Under Armour announced a new UA Healthbox platform that it developed with HTC. Robin Thurston, who was the co-founder of MapMyFitness which Under Armour acquired in 2013, talks about the shift from how the discussion has shifted from how athletes (and consumers) “dressed” to how they “live”. This collision of physical and digital brand propositions has allowed us, as consumers, to fulfill our increasing need for self-quantification. But it is not just fitness brands. Sports teams and brands have taken note and are also charging forward. 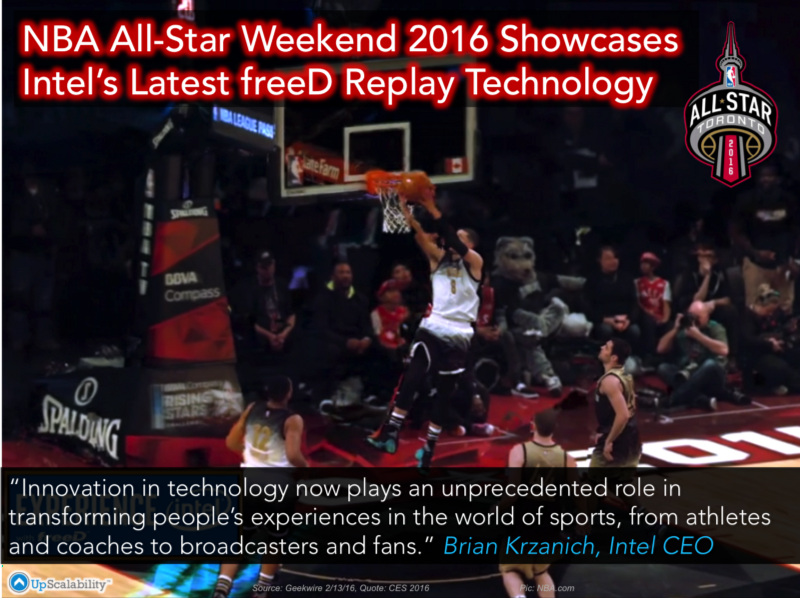 The NBA 2016 All Star weekend showcased Intel’s latest version of the freeD Replay technology that allows broadcasts to show a 360° slow motion view of a particular play. This is achieved by meshing the feeds of a number of cameras placed around the court. It is very cool technology. I believe that 2016 is going to be a break-out year for “physical product” consumer companies extending their brand propositions with more seamless and integrated technology-enabled innovations. There can be no doubt that by 2020, brand winners will be underpinned by technology-enabled innovations and business models that are a proprietary and embedded element of the brand engagement construct.